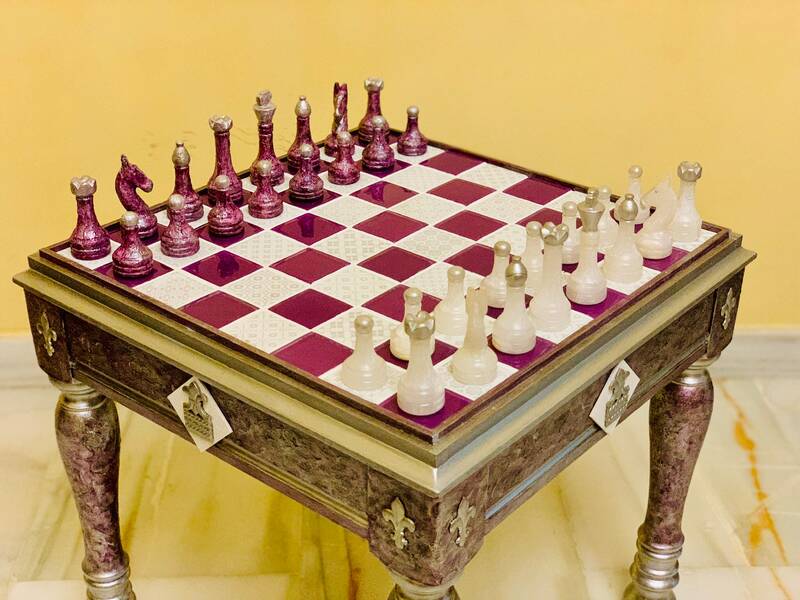 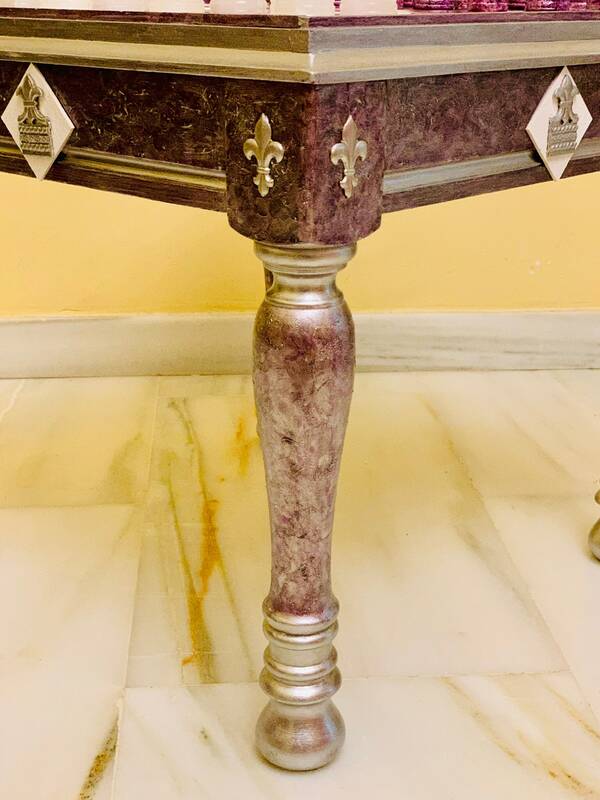 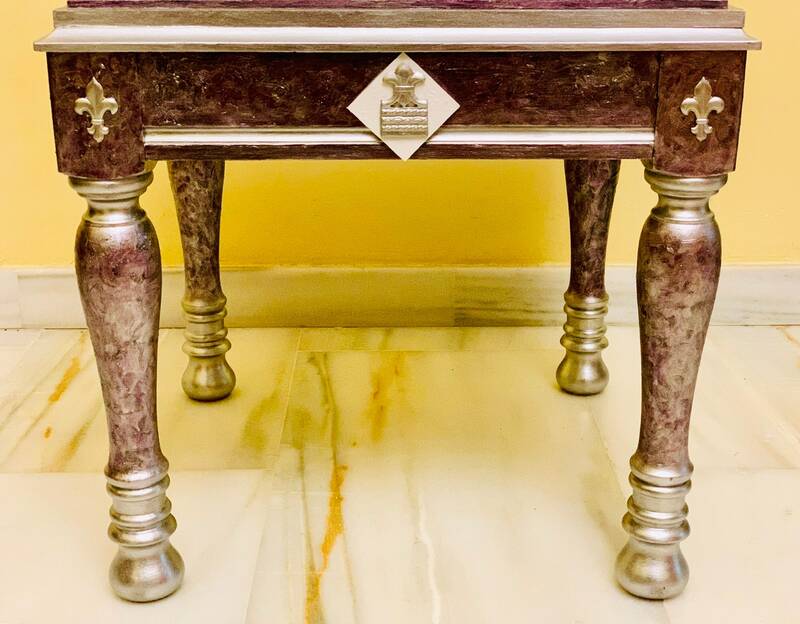 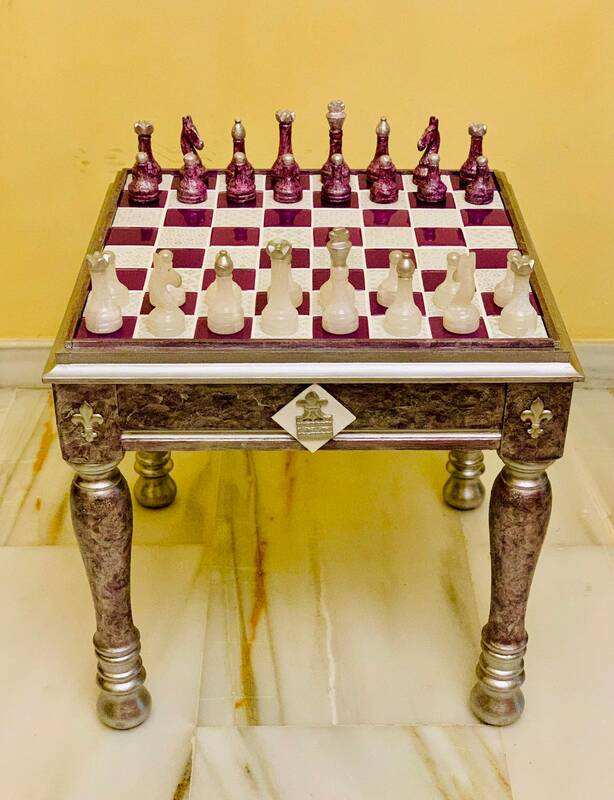 Beautiful Artistic Chess uniquely made by artist of the TWENTIETH century following the patterns of Louis XV style by his lavish forms embellished with colors of royalty and the symbols of The French Crown with fleur-de-lis as the most prominent symbol. 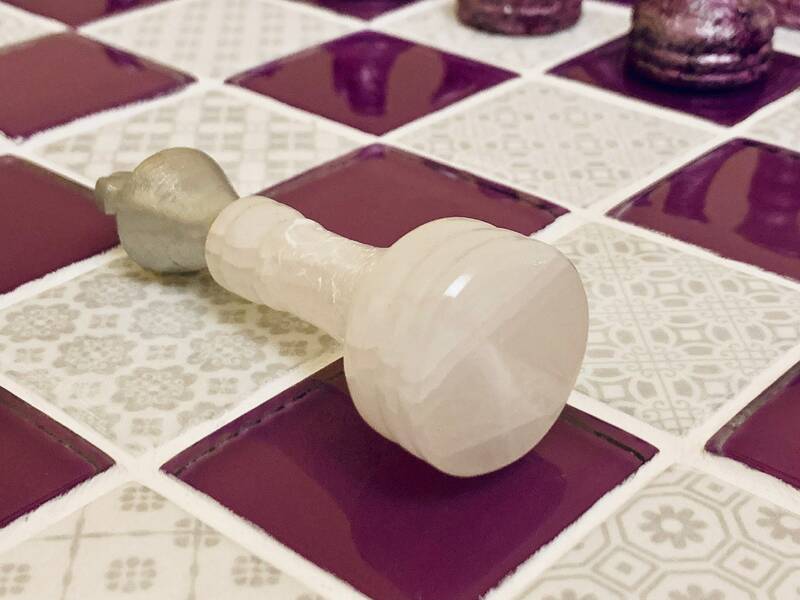 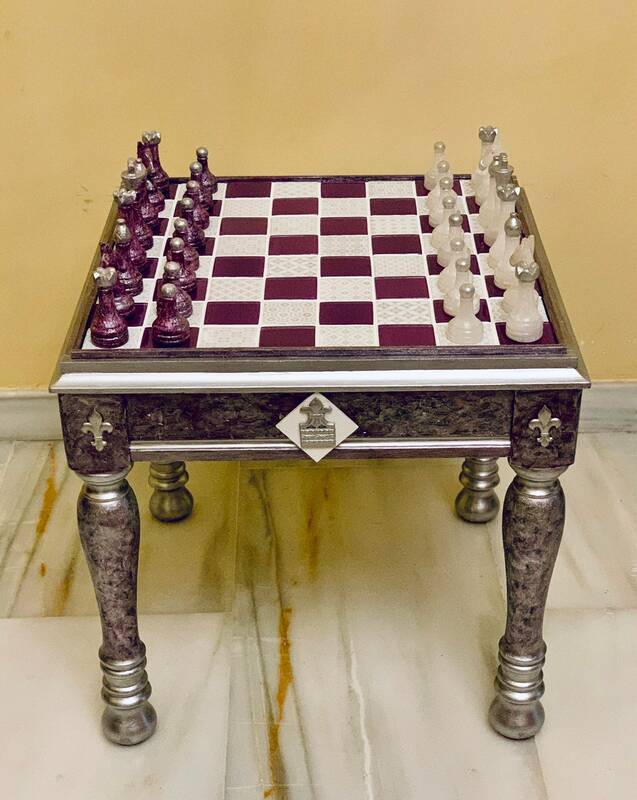 Chess is made of marble pieces and tiles the board decorated artistically what makes it unique in the world. 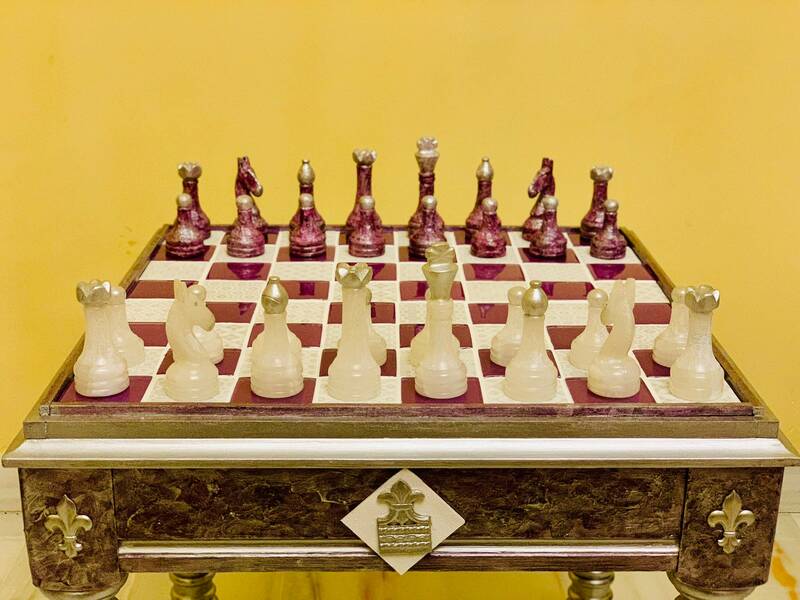 This Chess presented by Vintage Chess is a mixture of modernity and tradition. 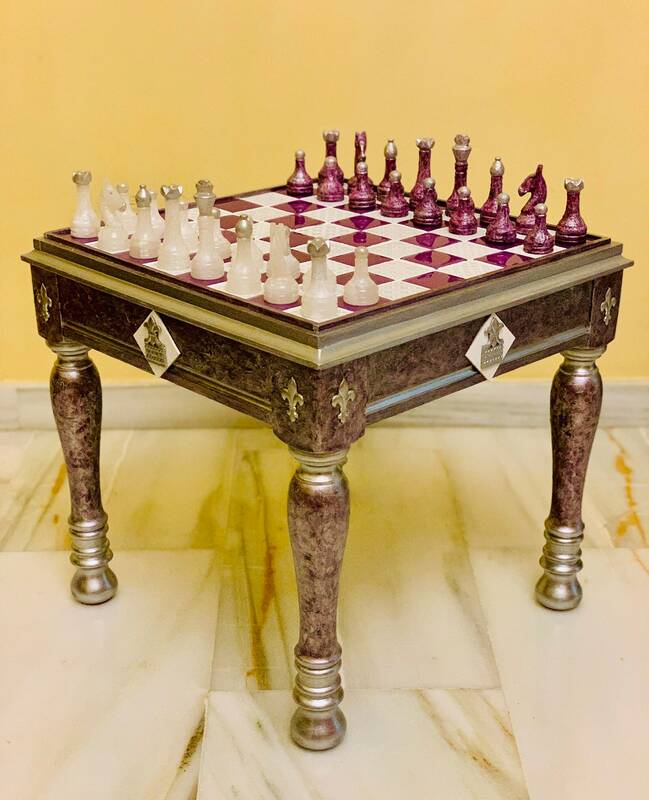 THE wooden structure is decorated with French style shapes and the escaques are in different shapes in the white squares made with period tiles. 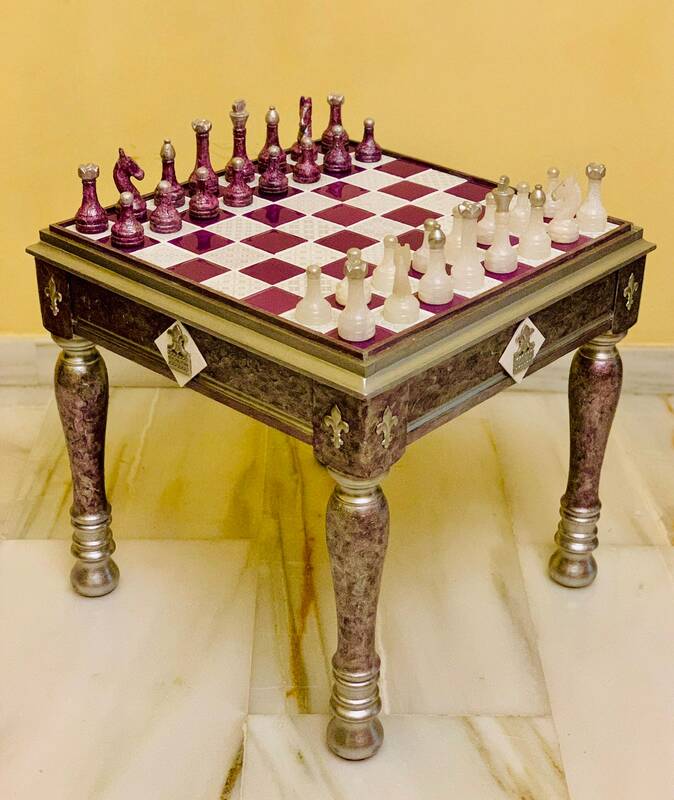 This Great beauty of finishes provide chess with a unique aesthetic and also for the materials used and the weight of the same is a functional set with great balance of parts and weight of the table. 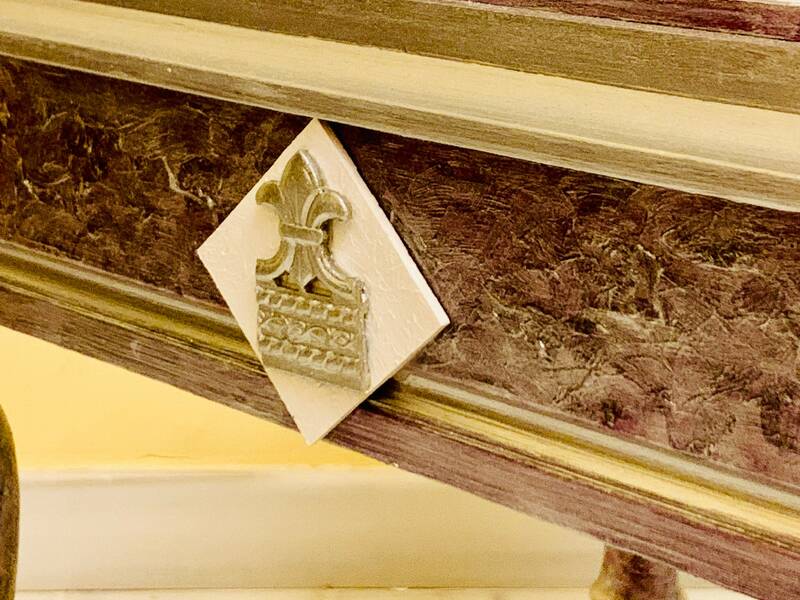 The shipping is made certified and well packed.